Make wrapping presents quick and easy with these durable, one-of-a-kind gift bags. Featuring 4 unique designs, you'll love handing these bags out as much as people will love receiving them. 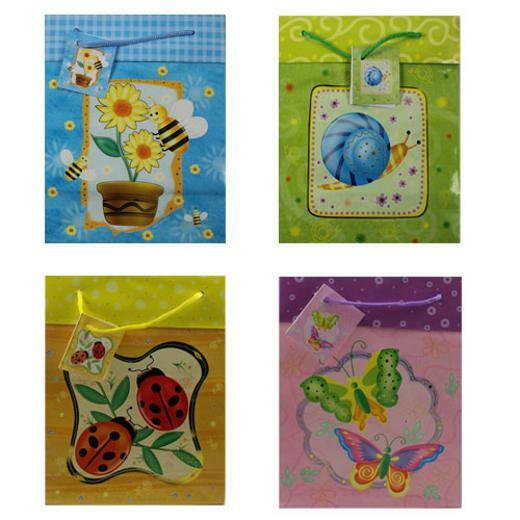 Featuring beautiful pop up pictures in assorted floral designs, these vibrant colored glossy bags are sure to be a hit. Pack contains 4 medium gift bags each.